Anyone who has ever used an online dating site knows that the first few steps in getting to know someone can be kind of awkward. What do you say? What kind of questions do you ask? Do you say something witty? Smart? Funny? 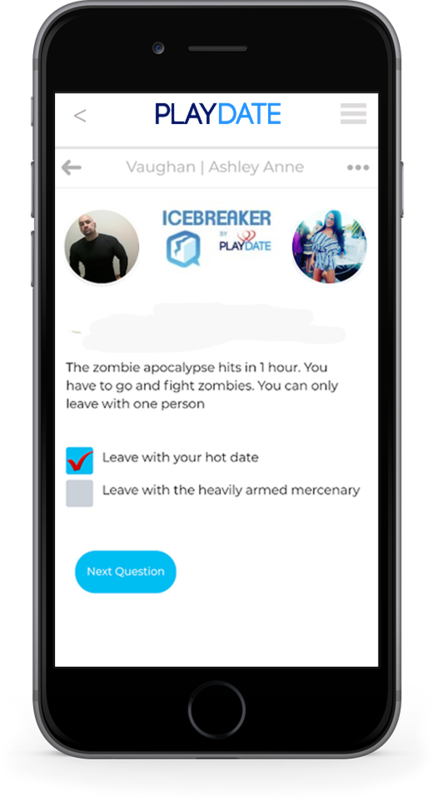 PLAYDATE is an online dating site/app that requires members first play a interactive, light-hearted Question and Answer game called “ICEBREAKER” Before they can chat with one another for the first time. Icebreaker game takes the awkwardness out of meeting someone online by requiring both members to answer funny (and informative) questions. 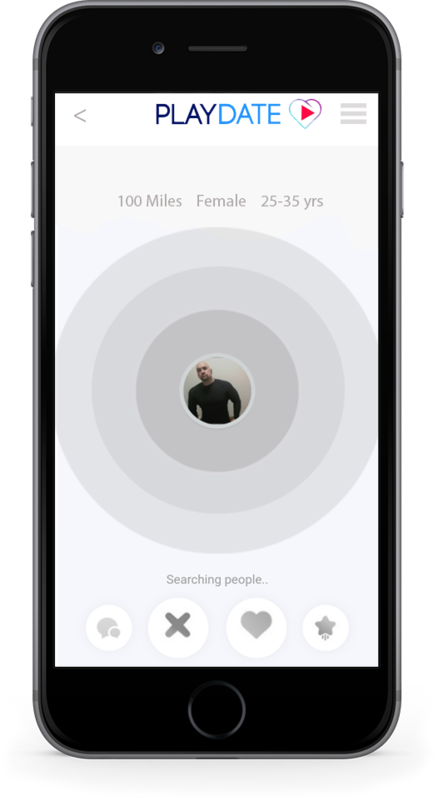 Icebreaker is a part of a larger suite of Artificial Intelligent (AI) services designed to help online daters cut through the awkward crap and get on with getting on. A mutual score is given to both players at the end of the game – and they can then decide if they want to continue the conversation. 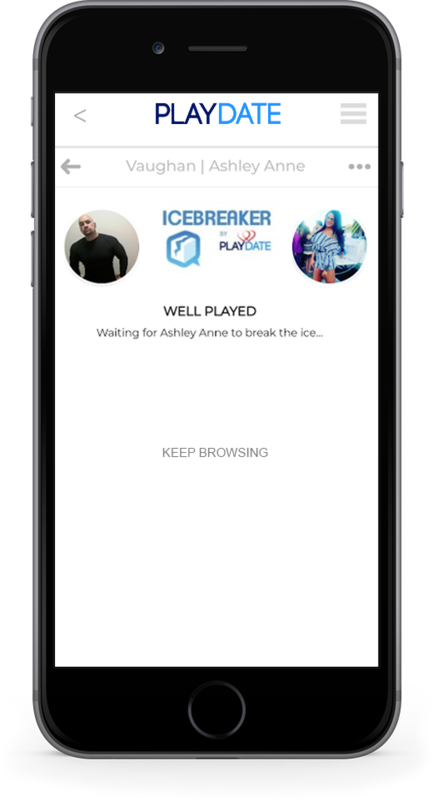 By playing the Icebreaker game, PLAYDATE members can casually, and playfully, get to know one another without even saying a word! 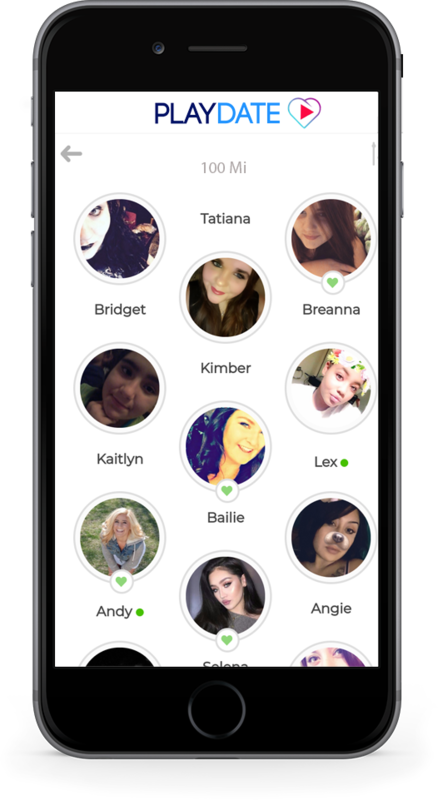 And of course, if they make a connection they can jump right into messaging or videochatting, directly from the app! It’s free (but there’s a whole lotta value in being a premium member)!